This article describes how to install and set up the application that allows integrating ELMA with MS SharePoint. 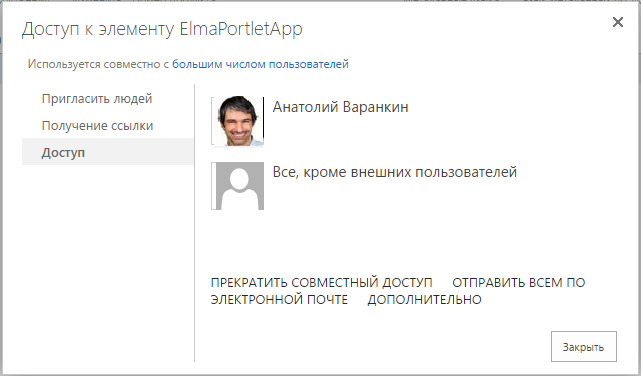 The ELMAPortletApp.app application file is attached to this article. Integration with MS SharePoint allows using ELMA features in the MS SharePoint interface. Users of this system can start business processes, view tasks, etc. 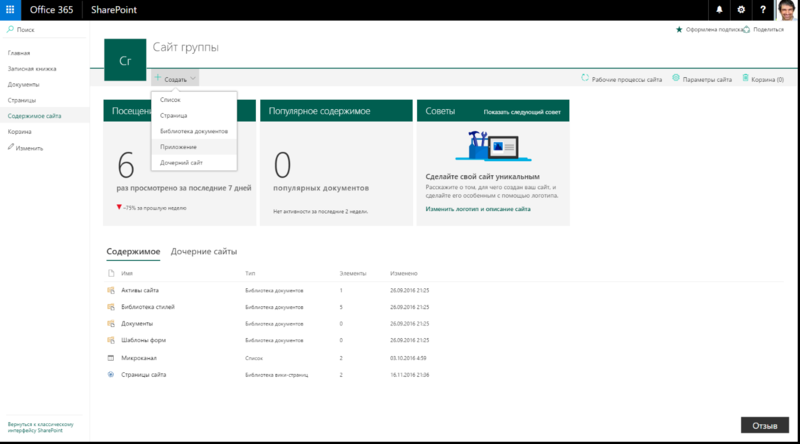 in the MS SharePoint portal. 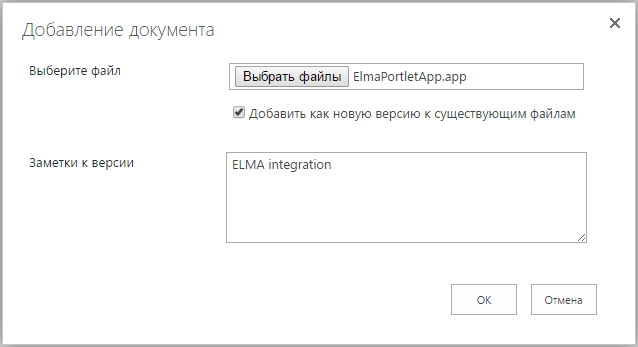 To set up the interaction of ELMA and MS SharePoint, you need to download from ELMA Store and install MS SharePoint integration module (more on installing paid components here) perform the setup described below. In the MS Office 365 admin center, using the admin account, select Settings - Apps (fig. 1). 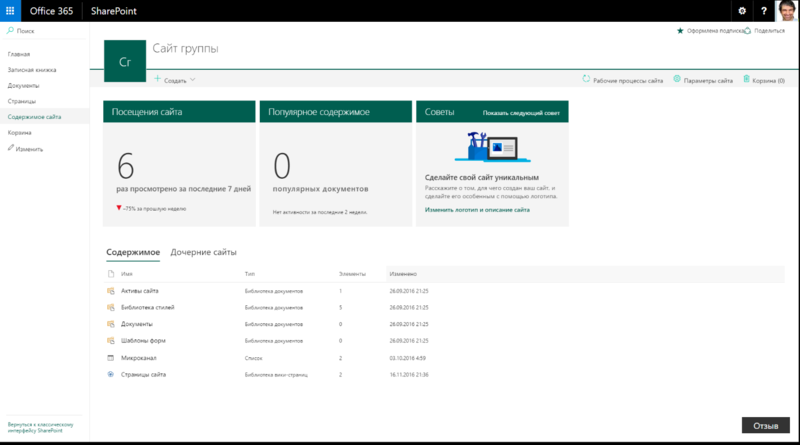 Click Sites and in the opened window select SharePoint admin center (fig. 2). In the SharePoint admin center, go to Apps and select App Catalog (fig. 3). The app catalog page will open, where you need to select Create a new app catalog site and click OK (fig. 4). On the page for creating an app catalog site collection, specify a title, the administrator, and, if necessary, language and time zone (fig. 5). After clicking OK, the page will display the site collection list, where the added app is marked as NEW (fig. 6). In the list of site collections, click on the new app (apps). The page of the selected app will open (fig. 7). 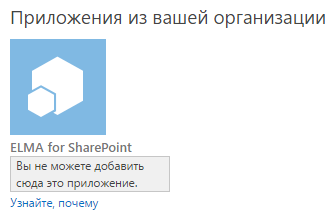 In the left menu of the opened page, select Apps for SharePoint. In Apps for SharePoint, click Upload (fig. 8). A window for adding a document will open (fig. 9). In the window, select the application file ELMAPortletApp.app (attached to this article) in the Select File field, and add a comment if necessary. Click OK.
As the result, the app will be added to the list, and a notification will be displayed (fig. 10). Set up access permissions to the app. In the toolbar, select More - More - Shared Access (fig. 11). In the admin center, using the administrator account: go to Settings and select the switches of Custom Script to allow, as in fig. 13. Note, that the changes of this parameter are applied within 24 hours. After adding an app on the MS Office 365 admin center page and assigning access permissions to the app, you need to set up the added app in the SharePoint user interface. 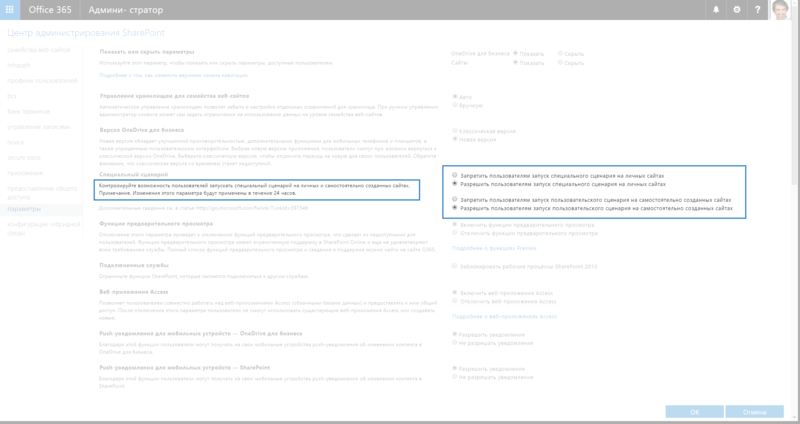 Open the MS SharePoint page under any user account, who received the permissions, and in the main menu navigate to Site Contents. A page shown in the figure below will open. Click New - App (fig. 15). Under the ELMA for SharePoint icon and the You can't add this app here notification click Find out why (fig. 17). The window, shown in fig. 18, will open. Click on ELMA for SharePoint. A dialog box will open, where you need to click Trust It (fig. 19). The app will become available on the site contents page with the NEW mark (fig. 20). Next, go to Home and click Edit in the toolbar (fig. 21). The page will switch to the editing mode (fig. 22). Further settings are described in ELMA Help.